Whether a person has lived a long and full life or their life has been cut short by illness or tragedy, every life is worthy of celebration. 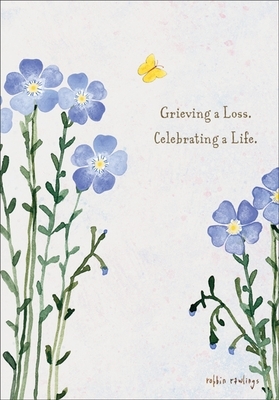 It's in the celebration that we focus on the wonderful memories of the deceased and help each other heal. This beautiful sympathy card is a perfect choice to have on hand in time of need. Front: Greving a Loss. Celebrating a Life. 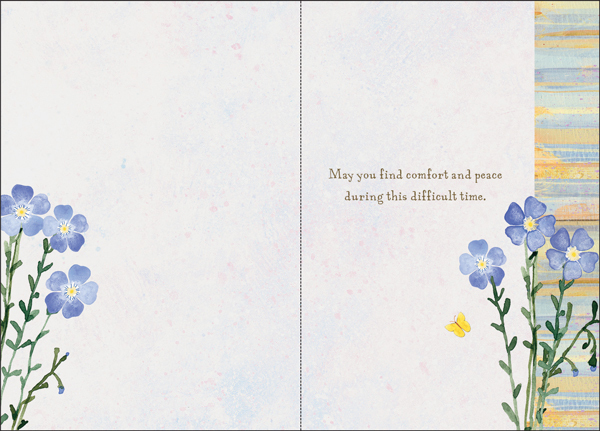 Inside: May you find comfort and peace during this difficult time.